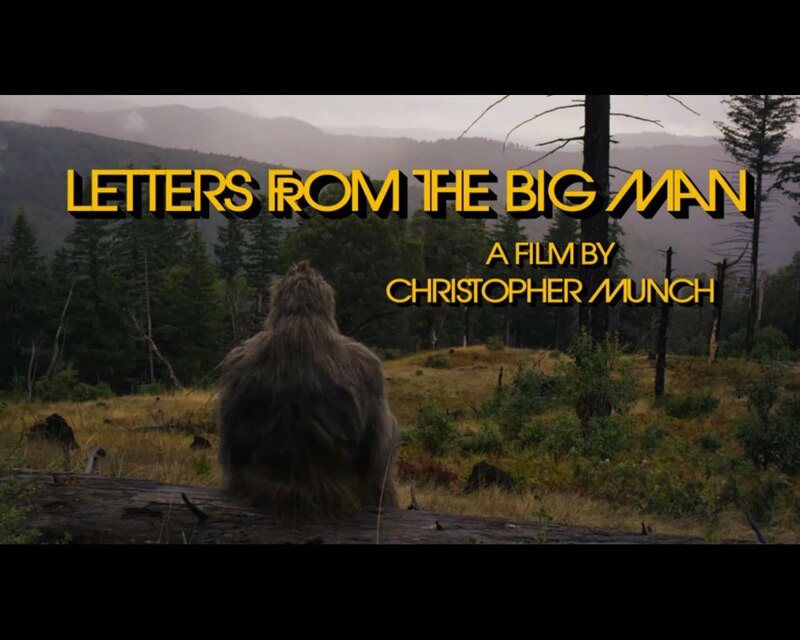 Christopher Munch has released an official trailer for his Sasquatch movie, "Letters from the Big Man." It does the film true justice. "Sarah is unpredictable, prickly and given to frenetic exercising as if she were trying to exorcise her own demons. So when she chooses to deepen her communication with these magical creatures, it's not surprising since she is magical herself. The exquisite natural light captured by cinematographer Rob Sweeney and a sweeping score by the chamber group Ensemble Galilei helps make the magic seem plausible. But it's Rabe who you really can't take your eyes off of." This is clearly not a creature feature made for everyone, but for a fortunate few, it will feel like a cleansing in nature. PARK CITY -- The myth of the Sasquatch has intrigued filmmakers for years, but the creature has always been depicted as a kind of a wooly monster. 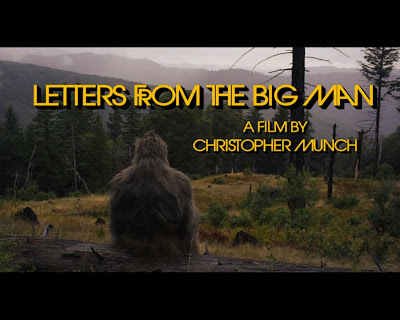 Not surprisingly, iconoclastic director Christopher Munch has taken a different tack in Letters From the Big Man. His Sasquatch is a more evolved creature with mystical communication skills. Such an interpretation might seem airy-fairy were it not rendered with such earnestness and filmmaking skill. This is clearly not a film made for everyone, but for a fortunate few, it will feel like a cleansing in nature. As his leading lady, Munch had the inspiration to cast the sprite-like Lily Rabe. As Sarah Smith, a Forest Service worker on the rebound from a broken relationship, she is in almost every scene and commands the film with her presence. Retreating to the wilderness of Southern Oregon to lick her wounds and survey post-fire damage, Sarah starts to have the feeling she's being followed. Although she doesn't see it at first, Munch isn't going for suspense here and promptly reveals a dignified hairy creature with soulful eyes (played by Isaac C. Singleton). The big man, who seems to reside between a human and super-human realm, starts to infiltrate Sarah's dreams. She draws what she sees in her mind's eye and leaves scraps of food for her new friend. She hears the Sasquatch's voice as a call to nature. Gradually, she has several close encounters before he reveals himself. The matter-of-fact way Munch tells the story, without gimmicks or special effects, makes it all seem quite innocent. However, this sweet dance between woman and big man is set against the backdrop of a Forest Service controversy that sometimes threatens to take over the simplicity of the film with a too-complicated plot. Out hiking in a remote area one day, she meets Sean (Jason Butler Harner), a wilderness advocate, with whom she has a budding romance. He has long been battling the Forest Service over the best way to deal with fire damage, and when he gets wind of the Sasquatch, he believes the government will hunt the creature down and turn him into a science experiment. It seems like an idea borrowed from E.T. and is ultimately beside the point. The focus is really about Sarah and the big man. Sarah is unpredictable, prickly and given to frenetic exercising as if she were trying to exorcise her own demons. So when she chooses to deepen her communication with these magical creatures, it's not surprising since she is magical herself. The exquisite natural light captured by cinematographer Rob Sweeney and a sweeping score by the chamber group Ensemble Galilei helps make the magic seem plausible. But it's Rabe who you really can't take your eyes off of. Intriguing. I am curious. It sounds refreshing and new.